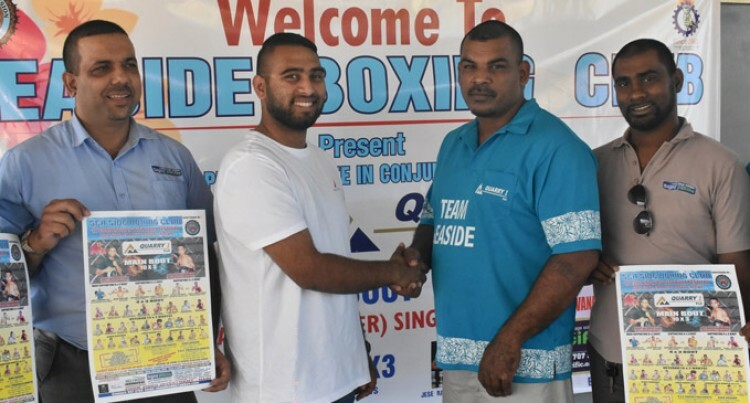 The Seaside Boxing Club has received a major boost for the inaugural Bula Festival charity boxing night at the Prince Charles Park in Nadi on July 13. The club received $5000 worth of sponsorship from their traditional sponsor Quarry 1 Fiji. The event features 23- bouts which professional boxers, veteran, old­ies, women and youngsters. Former Golden Boy of Fiji, Sa­karaia Ve will take on Ilaitia Vaka of Navosa. Promoter Mukesh Freddy Chand said, “This is the first time a club is hosting a charity event and we are thankful for the participation of the stakeholders. He thanked Boxing Commission of Fiji for sanctioning the fight and the boxers coming together for charity. Exhibition: Nathan Singh – Jnr Dhanraj Pillay, Mohammed Ali – Wilson Singh.